The company "Nippon Dom" takes orders for the manufacture of models of dishes. 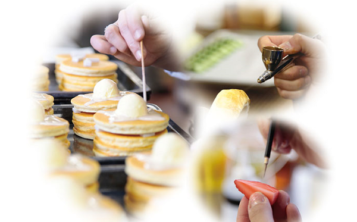 The company “Nippon Dom” takes orders for the manufacture of models of dishes from photographs. The original Japanese art of producing fake dishes has been surprising the world for nearly a century. knowledge of the Japanese language to discuss the design details of the dish with the craftsmen. 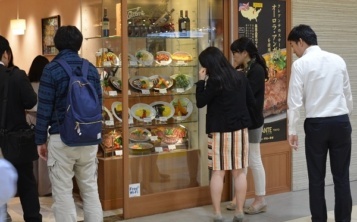 The company “Nippon Dom” has invented a technology for manufacturing the fake dishes from photos. Now the restaurateurs from other countries can order high-quality fake food items to attract more customers and increase sales of their cafe or restaurant. 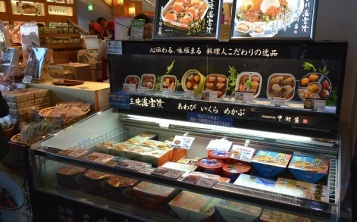 The company “Nippon Dom” produces fake foods from the photos of original dishes. We buy the products needed for the meal. We offer free consultations advising our customers to properly decorate their showcase and increase the advertising effect with the help of fake dishes. Nippon Dom provides the restaurateurs from all over the world with the high-quality fake dishes which attract more customers and sufficiently increase sales. Our policy is to assist in the development of the restaurant business worldwide.